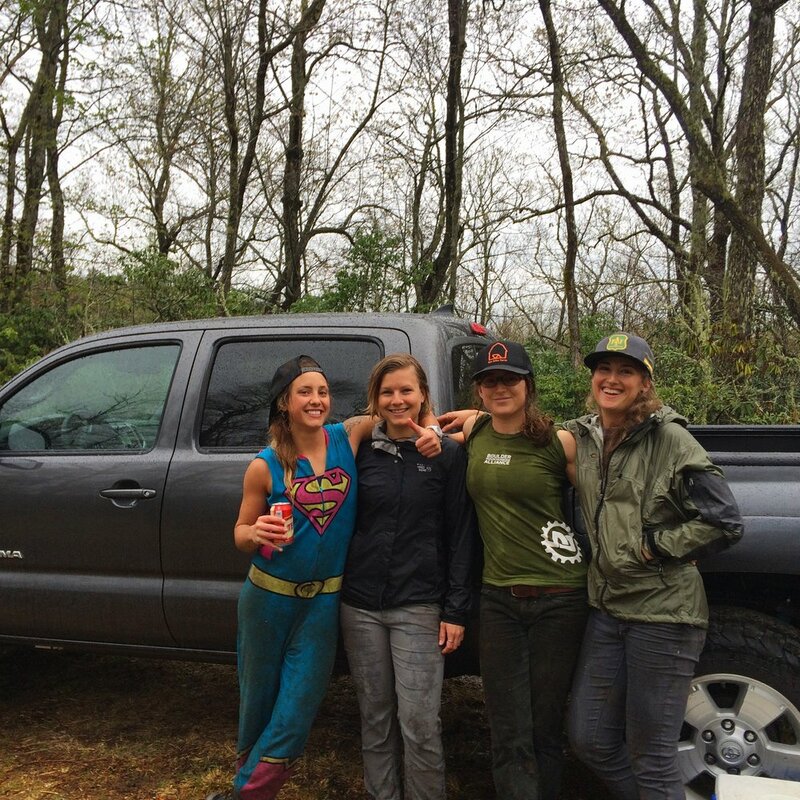 Trail crew at The Bike Farm Pisgah. We are having a blast rain or shine. Bonus points for wearing a costume, Crissy!